Participant Education: You can have the greatest investment line-up and the most user friendly recordkeeper but if your plan participants do not know how to leverage these tools they may never achieve the financial independence they desire. 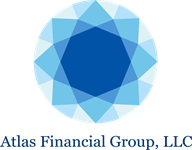 Roadmap to Success: Written service plan between the plan sponsor and Atlas Financial Group which clearly lays out goals and expectations designed to promote optimal plan operation and employee retirement readiness. Plan Health Reporting: A progress report which helps the plan sponsor recognize the overall plan operation and success. The Plan Health report looks at the complete demographics of the plan, how participants are investing, how much are they deferring, asset allocation among the plan and participants, and many other analytics. Ongoing Participant Communication: Weekly market updates, monthly newsletters, ad hoc topical communications, and financial education seminars keep participants engaged in planning for their future.